New vehicle pricing does not include all offers and incentives. There are no doc fees. Tax and Title are not included in vehicle prices shown and must be paid by the purchaser. While great effort is made to ensure the accuracy of the information on this site, errors do occur so please verify information with a customer service rep. This is easily done by calling us at (877) 249-6097 or by visiting us at the dealership. **With approved credit. Terms may vary. 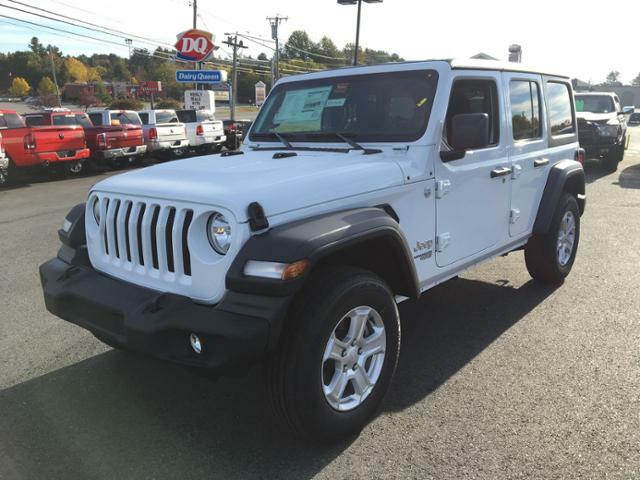 Monthly payments are only estimates derived from the vehicle price with a 72 month term, 3.99% interest and 20% downpayment. Bright White Clear Coat exterior, Sport S trim. 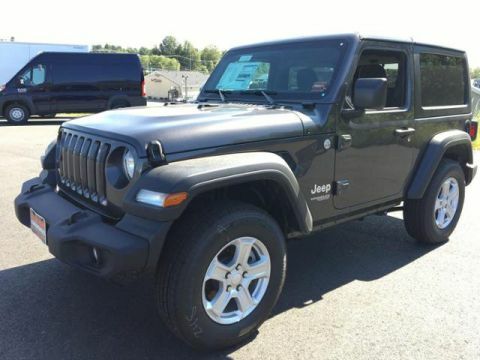 iPod/MP3 Input, Bluetooth, Keyless Start, Back-Up Camera, TRANSMISSION: 8-SPEED AUTOMATIC (850R... QUICK ORDER PACKAGE 24S SPORT S, DUAL TOP GROUP, 4x4, Alloy Wheels. READ MORE! 4x4, Back-Up Camera, iPod/MP3 Input, Bluetooth, Aluminum Wheels, Keyless Start. MP3 Player, Privacy Glass, Steering Wheel Controls, Child Safety Locks, Rollover Protection System. 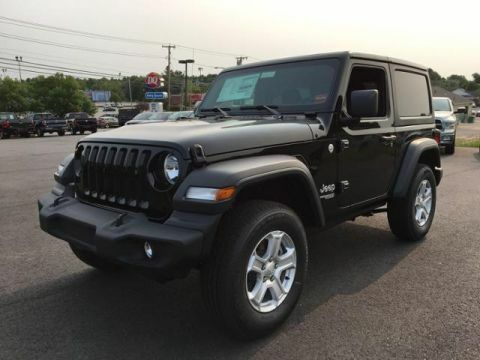 QUICK ORDER PACKAGE 24S SPORT S Engine: 3.6L V6 24V VVT UPG I w/ESS, Transmission: 8-Speed Automatic (850RE), Front 1-Touch Down Power Windows, Remote Keyless Entry, Speed Sensitive Power Locks, Leather Wrapped Steering Wheel, Power Heated Mirrors, Automatic Headlamps, Sun Visors w/Illuminated Vanity Mirrors, Security Alarm, DUAL TOP GROUP Premium Black Sunrider Soft Top w/Dual Top Group, Black 3-Piece Hard Top, Rear Window Defroster, Freedom Panel Storage Bag, Rear Window Wiper/Washer, TRANSMISSION: 8-SPEED AUTOMATIC (850RE) Dana M200 Rear Axle, Hill Descent Control, Tip Start, SIRIUSXM SATELLITE RADIO For More Info, Call 800-643-2112, 1-Yr SiriusXM Radio Service, ENGINE: 3.6L V6 24V VVT UPG I W/ESS (STD). Edmunds.com's review says Now made of aluminum, the doors are much easier to lift off, especially if you roll down the window so you can reach through and pull the door free with the new handhold under the armrest..
We specialize in new and used Chrysler, Dodge, Jeep, Ram and FIAT sales, so if it’s a dependable vehicle you’re shopping for, you’ve come to the right place. 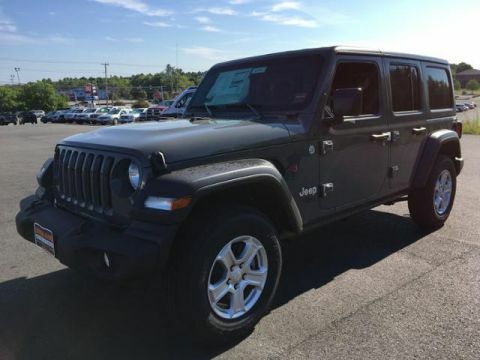 We offer a plethora of outstanding vehicles for sale in our new and pre-owned inventories, including fan-favorites like the Ram 1500, FIAT 500, Chrysler 200, Dodge Charger and Jeep Wrangler. We sell our vehicles at hard-to-beat prices, but our friendly and experienced finance team is always happy to set customers up with more customized pricing and ownership arrangements through leasing and financing. Got a vehicle that isn’t driving like it used to? Quit rumbling around town in your beleaguered ride. 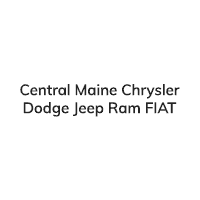 Head down to our service center and replace old or defective components with durable OEM Chrysler, Ram, Jeep, FIAT and Dodge auto parts. You can also book appointments for maintenance and repairs — our skilled service professionals can easily handle the simplest tire balancing and rotation or most intricate recall repair. You won’t believe the difference quality auto service can make for your daily commute!